If you're a Cattle producer anywhere across northern Australia you are bound to be seasoned battler when it comes to managing the annual burden of Buffalo fly. You'll know that the horrors of this wee beastie not only physically affect your cattle, but impact significantly on your bottom line too. In fact In Queensland alone, Buffalo Fly is estimated to cost the industry, $20 to $30 million annually. Ouch. Many producers now look to an 'integrated' pest management approach, which uses a combination of chemical and non-chemical control measures. But there are a few things to consider when planning and implementing an integrated pest management plan on your property. This post provides a snapshot of the 5 most common oversights experienced by cattle producers when planning seasonal management of buffalo fly. Mistake#1: Not understanding whether or not the cattle on a property need to be treated for buffalo fly. The presence of buffalo fly should not mean treatment is immediately instituted. Cattle can tolerate small numbers of flies without losing production. Treatment is required when there are more than 200 flies per animal (100 on each side) or when susceptible animals such as bulls show 'fly worry' (e.g. tossing of the head, sudden movements and reluctance to eat). Treatment on dairy cows is recommended if you estimate that there are 30 or more flies present. 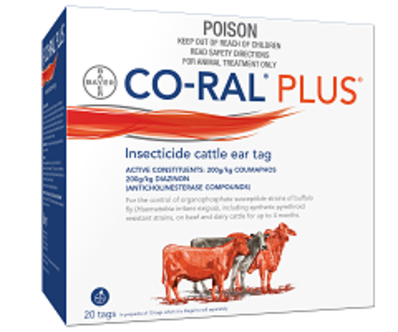 It is recommended not to treat cattle unless flies are building up to numbers that are likely to cause significant welfare or economic problems. Mistake#2: Not culling allergic or sensitive cattle. 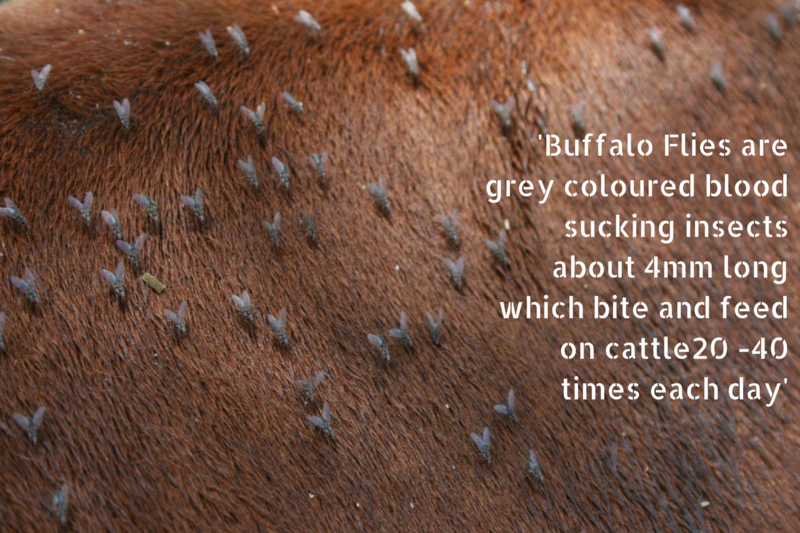 Often, a small number of cattle in a herd become intensely irritated by buffalo flies and have severe skin lesions caused by rubbing activity. 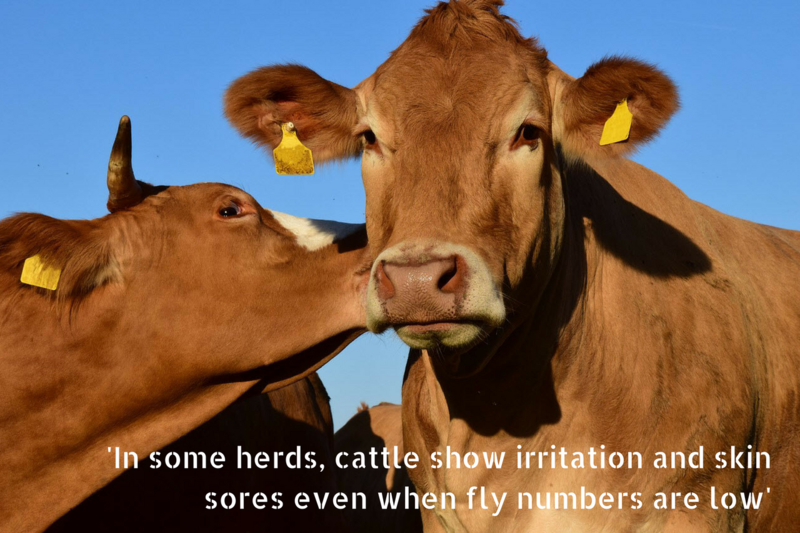 These cattle show irritation and skin sores even when fly numbers are low. Treatment of the whole herd is often based on the severe response exhibited by these few cattle. By culling sensitive animals, treatment need not be given until fly numbers build up and the herd as a whole is starting to show fly worry. The two main non-chemical control strategies used within Australia are Buffalo Fly control traps and Dung Beetles. Both should be considered as treatment options BEFORE chemical use. Buffalo control traps: A simple tunnel trapping system has been shown to reduce fly populations by 60% to 80%. The trap is a short tunnel through which cattle have to pass regularly. The flies leave the cattle in response to the change in light intensity at the tunnel entrance, and are subsequently caught in cages attached to the sides of the tunnel. The trap is simple to build and since there are no obstructions in the tunnel, training cattle to use it is relatively easy. Dung Beetles: Dung beetles bury dung pats which make it difficult for buffalo fly eggs to survive. Dung beetles are climate specific and different species are required in different climatic regions. In many areas the appropriate species may not be present. Where this is the case they should be introduced. Contact your local state or Territory Ag department for details of where to source a good supply of dung beetles. 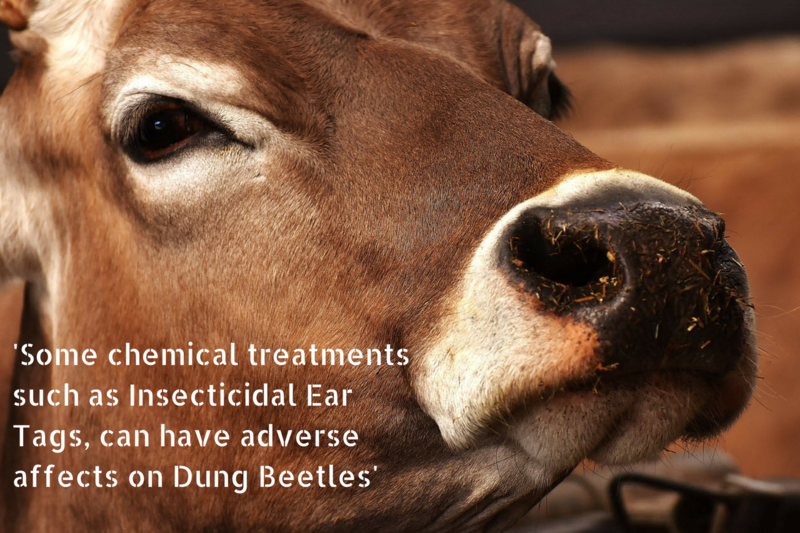 Some chemical treatments used on cattle adversely affect the dung beetle population. You should therefore ensure that chosen methods of fly control do not affect beetles, e.g. 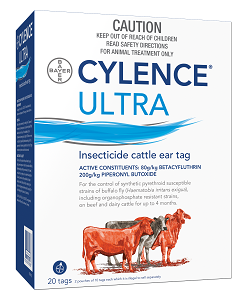 Insecticidal ear tags. Additionally, avoid the use of synthetic pyrethroids during spring when beetles emerge from their pupae; and finally only use macrocyclic lactone (ML) pour-on's to treat buffalo fly when simultaneous control of other parasites are required. Mistake#5: Using the same product each year 'because it works'. As with all chemical pest and parasite management products rotation is the key to prolonged effectiveness. If you find a product that works great! But resist the temptation to use it multiple times within a season, or even from year to year. Chemical resistance is usually seen in the field as a reduced protection period, so monitor your application timings to ensure that your selected products are still up to the job. The two main chemical groups used to battle Buffalo fly include: organophosphates (OPs) and Synthetic pyrethroids (SPs). As a rule do not use Ops for more than two seasons in a row and do not use SPs continuously for more than one year. 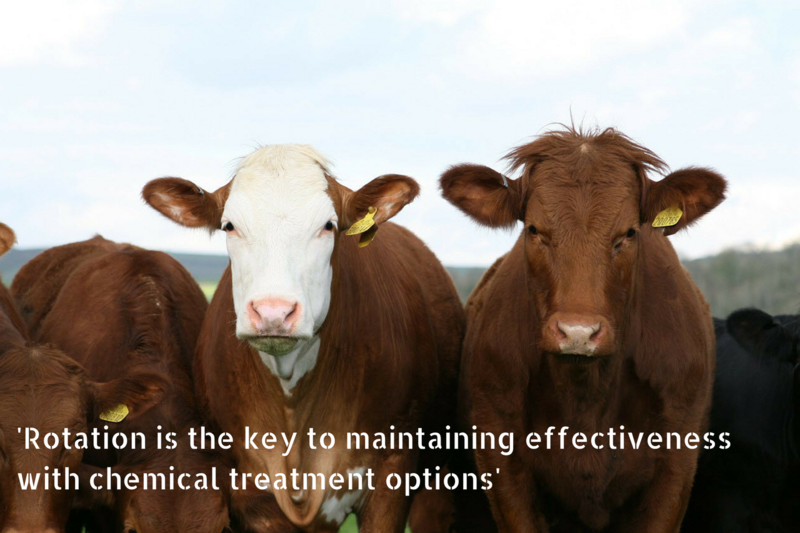 There are a huge range of chemical treatment options commercially available, including ear tags, pour-on's, sprays, dustbags, and back-rubbers. So there you have it - 5 key mistakes to avoid when planning your Buffalo Fly assault this year. Now that you know what NOT to do you're ready to take-on an integrated pest management approach for Buffalo Fly on your property that will be effective now and in the seasons to come. About: Amanda Walker is the Director of The Farm Co and Yerecoin Traders. Amanda has extensive experience in animal health, working for a number of years with the Institute for Animal Health in the UK. Amanda also worked for a UK government response team during the Foot and Mouth outbreak back in in 2001. Amanda has a keen interest in sheep and livestock health, working with her local grower to help manage their parasite control throughout the seasons.